Peter Szolovits has been a professor of Computer Science and Engineering and of Health Sciences and Technology at MIT for over 35 years. His research includes biomedical informatics, artificial intelligence applications, knowledge representation, and medical record systems. 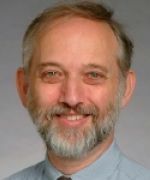 He is a member of the National Academies Institute of Medicine and serves on the NRC's Computer Science and Telecommunications Board. To learn more, visit his website.